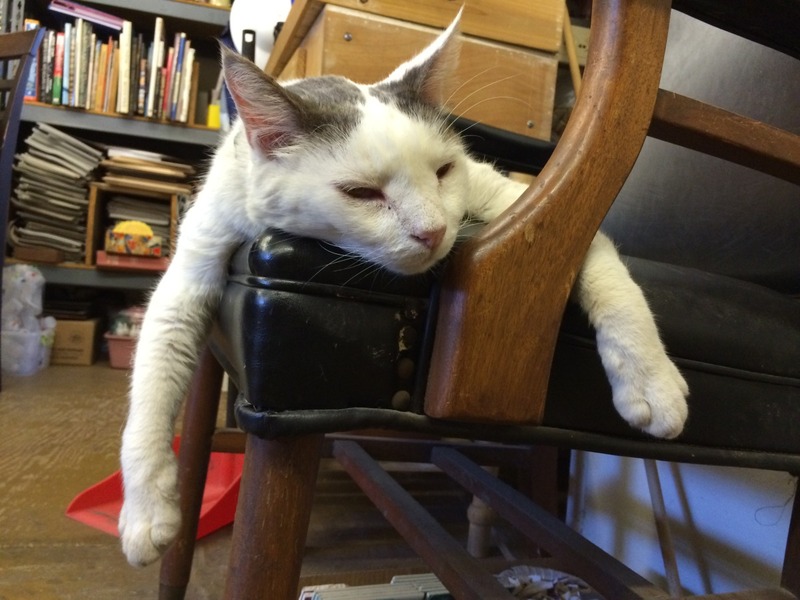 Lathe, our gallery cat, exhausted from blogging, would love to welcome you to our website. Please leave any questions or comments you might have regarding mosaics. Also, any questions you may have about our custom glazed tile or tools.